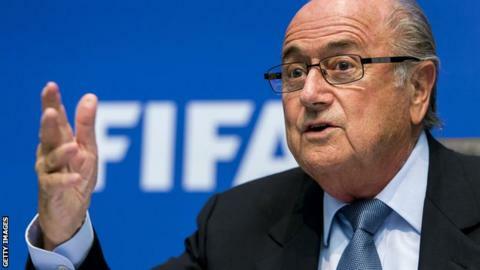 Fifa says a decision over whether to switch the dates for the 2022 World Cup in Qatar will be made in December 2014. Sepp Blatter, the president of football's world governing body, announced in October that a taskforce would look at alternative dates. That stemmed from concerns over the extreme heat in the Gulf state during the summer months, when temperatures can reach 50C. Qatari organisers says they can host the tournament at any time of year. But the Qatar 2022 Supreme Committee added that it would listen to the will of the international football community if a decision to move to a new date is made. After meeting in Brazil, Fifa's powerful executive committee have announced a "road map" for the consultation process, which is being led by Sheikh Salman - the president of the Asian Football Confederation and a Fifa vice-president. Talks with football stakeholders - such as leagues, players' associations and clubs - together with Fifa's business partners and TV companies will take place between January and August next year. Two meetings will then take place in September and November to try to agree the international match calendar from 2019 to 2022 before a 'final presentation' to the Fifa executive committee is made in December. Fifa, following pressure from the International Olympic Committee, has already stated that the tournament will not be played in January and February 2022, in order to avoid a clash with the Winter Olympics. Senior Fifa sources have told the BBC that November and December of that year is the most likely time to be agreed, with an expectation that players will be back to play in their domestic leagues for Christmas and New Year fixtures - something that would please the Premier League, which has been critical of any move away from the World Cup's traditional summer time-slot. Fifa also said at the meeting in Brazil that it would continue to examine the issue of working conditions for migrant workers in Qatar, following investigations by the Guardian newspaper and the human rights group Amnesty International. The governing body wants Qatar to provide an update on their progress over the issue by March 2014.